Only 12 per cent of people think we talk about economics in accessible way. Don't you think that's a problem? Us too. 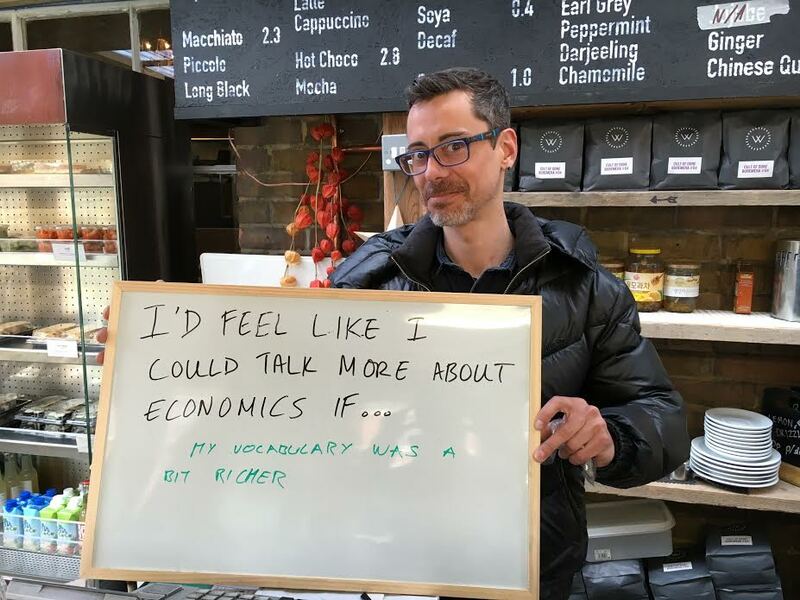 A new poll by YouGov found that only 12% of the UK public feel like the media and politicians tend to talk about economics in a way that's accessible and easy to understand. We've asked people why the subject feels so alienating – many say it's because they can't tell what it has to do with their daily lives. This time last year, respondents of a similar poll said they only talked about the economy two to three times a month, despite only 1% thinking the subject was unimportant. That's where Economy comes in. 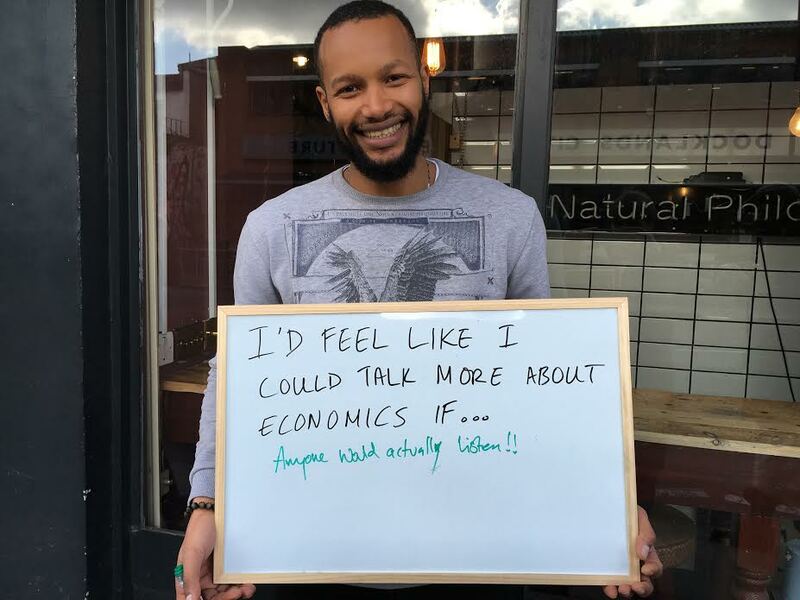 Our mission is to create a space to talk about the economy in a different way, that makes sense to people and really does relate to everyday life. Here are our spokespeople Joe Richards and Victoria Waldersee, talking about why Economy is necessary, why people find it so hard to get excited about economics, and why you don't need an economics degree to talk about the economy. Lots of people are engaging with economics without realizing they are. 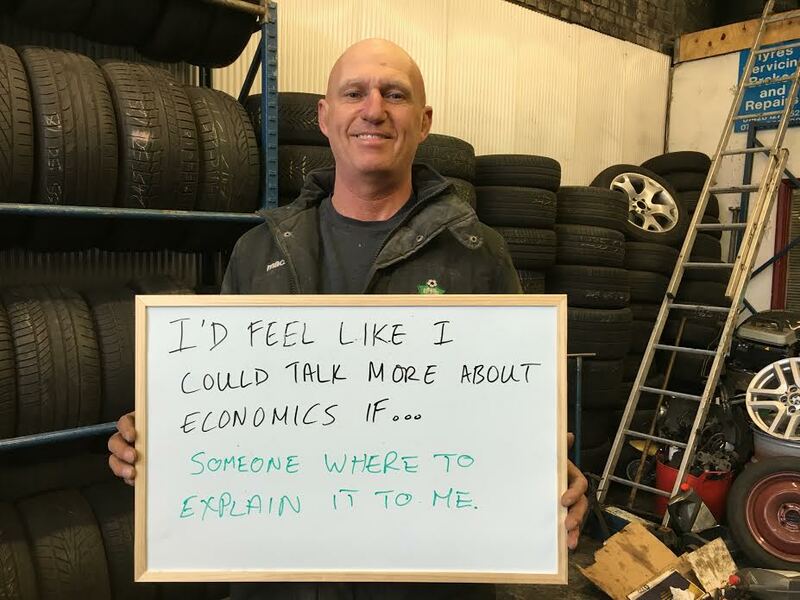 Everyone’s part of the economy, and we’re all using economics every day. But the words ‘economics’ and ‘economy’ can be really off-putting. YouGov's recent poll showed that 61% of the UK public agree with the statement that "politicians and the media tend to talk about economics in a way that's inaccessible and difficult to understand." We don't think that's right. Would you find it acceptable for your doctor to totally baffle you when talking about your health? We think the same goes for your life and economists. 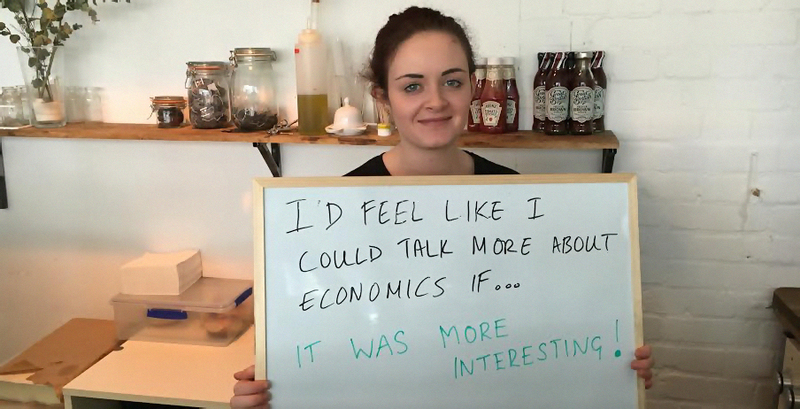 Why do people find it hard to get excited about economics? 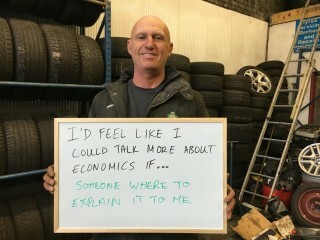 Many people think economics is complicated, boring, and disconnected from daily life. We don’t blame them. There's too much jargon. We think things should be a bit more straightforward: it’s difficult to get excited about the chemical compound of yeast extract, but put Marmite in your mouth, and suddenly it’s a bit more interesting. (Marmite's this really strong tasting sandwich spread in the UK, by the way). How are you tackling this language problem? We believe in providing easy to understand and enjoyable ways to engage with this thing called 'economics', by using everyday language. At the same time we want to tackle the jargon used by public figures around this important subject. There’s a gaping hole right now between the public and politicians/professionals, and it's our mission to close that gap. If people find the economy confusing and boring, isn’t your name a bit of an issue? We spent a long time holding focus groups, talking to people on the street, and being creative with our name in order to get people’s attention in a way that avoided their eyes glazing over, but lo and behold, we ended up with the name ‘Economy’! In the end, we realised we were avoiding the very problem that we're on a mission to solve - it’s these negative associations with the word that we're trying to tackle, so we didn't want to compensate with some snazzy name. Instead, we wanted to try and create new and better associations. Surely you need an economics degree for some of this? Not at all. An economics degree is a chance to spend a few years learning about the concepts, methods, and ideas that make up what we call economics today. But being part of an open conversation like Economy - as a user, contributor, or supporter - is a chance to be part of a new approach to economics, where everyone’s voice is part of the debate. How is Economy different to other economics websites? First of all, we’re not just another website or content platform. The stuff we're producing is as much about the the process of creating it, and what that involves, as it is about sharing it online. For example, when we create Kids Economy content for the site, that’s actually 30 children at school taking a workshop in economics. Plus, our Learn resource is co-written, and people are invited to edit it Wikipedia style. We’re also inviting people to tell their stories in the Engage section, and we’re helping people host or take part in a workshop or live event via the Act section. Here's two of the people we spoke to recently. They talked about how there was an economics we all know - the bills we pay, the financial decisions we make - but that there was also a "deeper economics", one that shapes our lives in ways that aren't always obvious. It's this that Economy wants people to think about, so that we can be more confident in talking about it and in helping shape it. How do we feel about economics? What is money to a ten year old? What does an economist look like?